Buster Sword: Few possess the strength and dexterity to wield such a thick length of steel, but those that do quickly gain recognition from their peers and the respect of their enemies. It takes years of intense training to be able to handle the weight of the buster sword without inflicting damage upon one's self, either due to strain or inaccuracy. Once mastered, the user gains the prowess to humble knights, dismember scores of undead. Buster Swords are difficult to come by due to the amount of material and skill required to forge them, which is substantial. This does come with it's perks though. When made for a medium character (Cloud being 5 feet 7 inches tall), the buster sword is a full 1 inch thick along the center and 10 inches wide witch is very unusual. 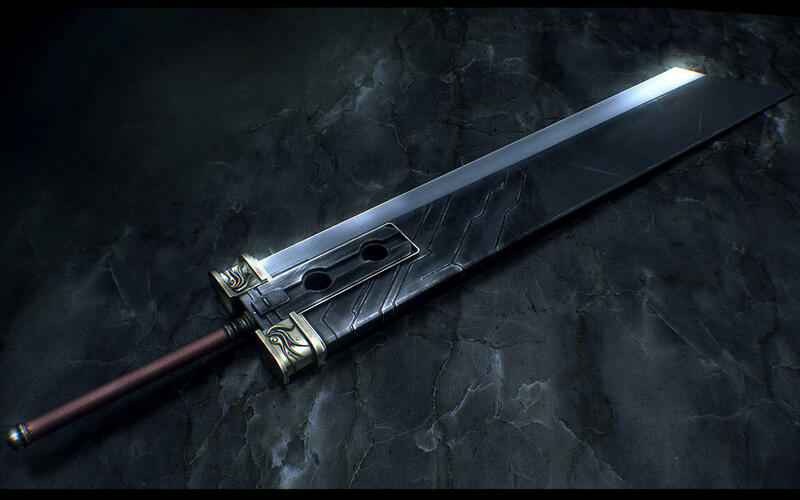 It is 71 inches long with a 54 in long blade that is simular to a greatsword. The Buster Sword can NOT be used unless the weilder has the Exotic Weapon Proficiency: Buster Sword due to the excessive weight. Slow Recovery - Due to the weight, the wielder of such a weapon suffers a -1 penalty to AC. Iron, Cold 250 gp 550 gp 10 30 Magical enchantments cost an additional 2,000 gp.